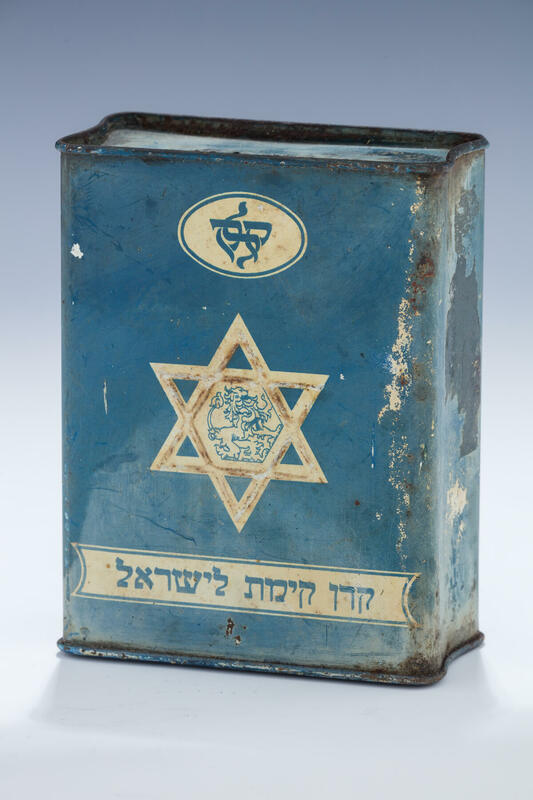 AN EARLY JNF/KKL TIN CHARITY CONTAINER. Germany, c. 1910. In traditional form. 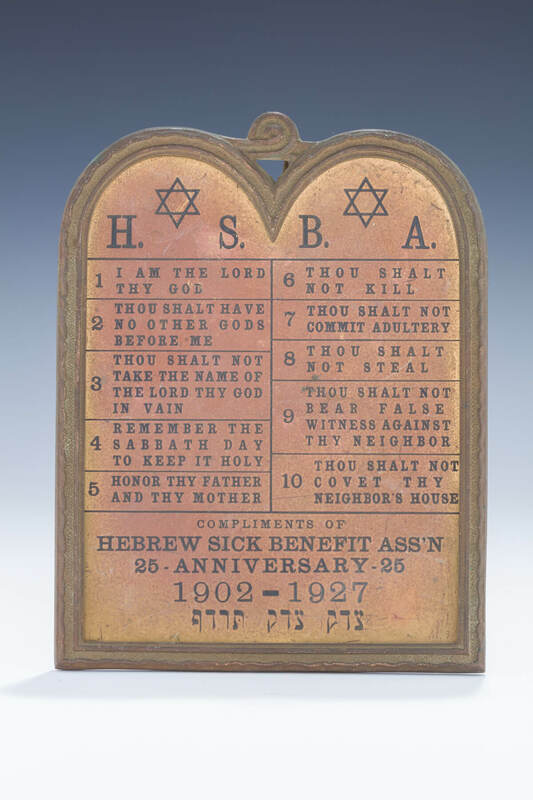 Front is embossed with Magen David with central lion motif. Further decorated with KKL insignia in Hebrew and full name of Keren Kayemet Leyisrael on front. Verso with white Jewish star. Marked Made in Germany. 4.7” tall.